Murdock is a long range, hard hitting carry. 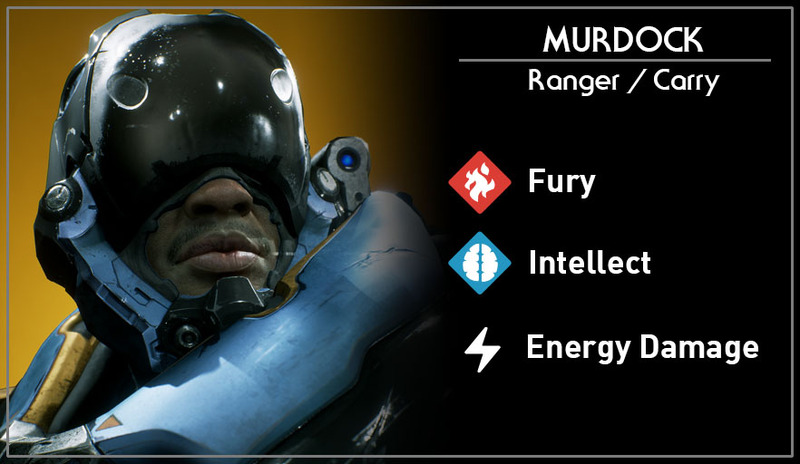 It’s good to note that Murdock deals energy damage and not physical damage and this makes a big difference when choosing your cards and deck. Murdocks skills are devised to prevent melee heroes from coming close to him. His ultimate is a laser beam which has a ridiculously long range that also goes through everything, if timed well you can kill more than one hero. 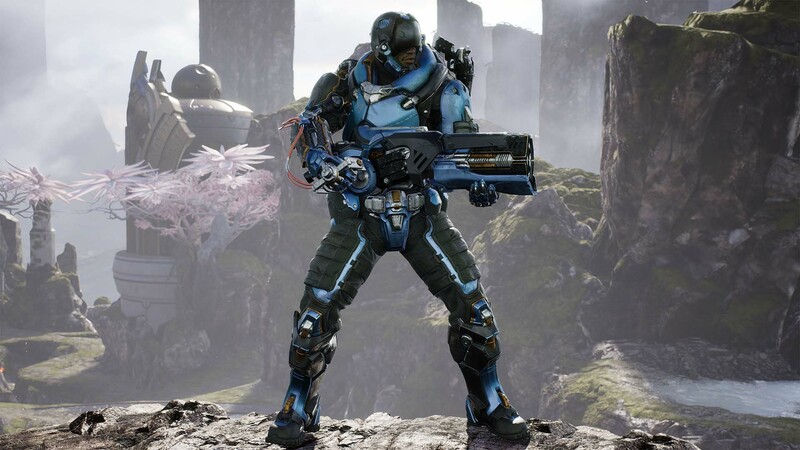 The only downside of playing Murdock is that he has absolutely no mobility skills, which is a fair price to pay considering the amount of firepower this guy has! Murdocks ranged single target basic attack. Murdock raises a shield that reduces incoming damage. If the skill is activated again, it will knock back enemies a short distance. Murdock fires a shotgun blast from his sidearm. Damage is dealt in front of him and also reduces energy armor of damaged targets. Murdock throws out a trap in front of him. After a few seconds, the trap arms itself and any enemy hero who activates it take damage and is slowed. Murdock goes down on one knee to take aim using his rifle. Once activated again, Murdock fires a large laser blast that passes through all enemies and terrain. This gives Murdock the ability to snipe form almost anywhere on the map.